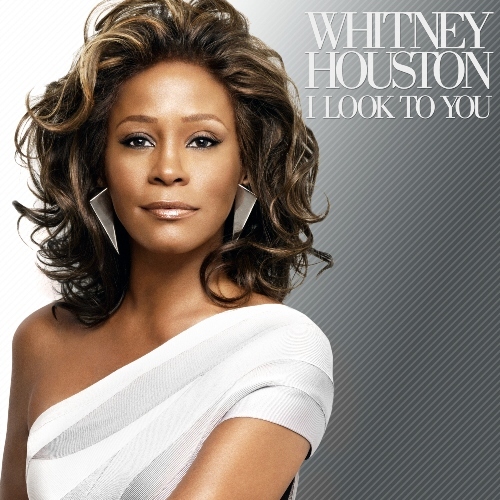 It seems a bit ironic that, at 46, Whitney Houston has released an album mostly influenced by youth-oriented R&B and hip-hop while, at 26, she was the prime purveyor of adult-oriented schmaltz. For all their melodrama, though, those songs especially are what (for better or worse) defined Houston at the peak of her success. Such distinctiveness is lacking on I Look To You. With few exceptions, the songstress forgoes the sentimentality and powerhouse vocals of her hit-making, record-breaking heyday for a batch of indiscriminate grooves. In fact, there’s little among this material — composed by a hodgepodge of writers and arrangers, most with credentials far edgier than this assignment — for Houston to really dig into and make her own. Whether on the drab, techno throb of “Nothin’ But Love” or the frenetic fuss of "For The Lovers" or the utter inanity of “Worth it,” Houston is either buried by or lost within a series of lifeless, synthesized loops and beats. Then there's "A Song For You," the Leon Russell classic that far too many artists continue to cover either in acts of self-indulgence or ostentation. Outside of Donny Hathaway and Ray Charles, though, most of them haven't done it justice, and Houston has only lumped herself in among that bunch with her distracting, disco-laden version. Though not enough to save the album as a whole, Houston nevertheless delivers a pair of solid, soulful performances. First, on the Alicia Keys co-written “Million Dollar Bill,” she relishes an old-school vibe that brims with playful exuberance. And with the title track, Houston exhibits that she can still summon her best when interpreting a song that suits her vocal command. And such has been the case with Whitney Houston all along. However histrionic her singing, her voice was and remains her most redeeming talent. On I Look To You, that talent is undermined by a misguided showcase of slick productions, making for a disappointing comeback.